With half term holidays just a matter of days away, the European Consumer Centre Ireland has issued a press release and warning last Friday - 16th May. They say that as we go into the busy holiday season, many consumers will be considering hiring a car on holiday. ECC Ireland is therefore encouraging consumers to be vigilant when seeking to hire a car this summer. Renting a vehicle is a convenient way of getting around during a trip and enables travellers to plan their holiday a little more freely, without having to work around public transport timetables. However, it can also be a confusing area for consumers. What is included in the initial quote may not always be clear, and there may be additional charges for extras such as child seats or insurance. Car rental is a frequent area of complaint in ECC Ireland's case handling. The majority of such complaints relate to supplementary charges imposed by the car rental company. ECC Ireland is therefore encouraging consumers to be vigilant when seeking to hire a car this summer. There is no specific EU legislation in place that covers this area, but consumers can avail of more general protections set out in directives on unfair commercial practices and unfair terms in consumer contracts. Carefully check the rental quote for what’s included and what isn’t. There may be extra costs for things such as child seats or an additional driver. It is also a good idea to fully familiarise yourself with the insurance policy and consider taking out additional cover where necessary. Most policies do not cover damage to certain parts of the car, e.g. tyres, windscreen, etc. Make a note of the fuel policy, which may be ‘return tank full’ or ‘return tank empty’. For obvious reasons, the vehicle can’t be returned with a completely empty tank, but the trader may not provide a refund for unused fuel. These policies are best avoided. Ensure you have read and understand the cancellation policy. Familiarise yourself with the rules of the road in the destination country and check if there are any age restrictions. The vehicle should be inspected by a representative of the car rental company when it is picked up by the consumer. The rep should make a note of the condition of the vehicle and any pre-existing marks or damage, and supply a copy of this form to the consumer. If there is no rep available at the time of collection, the consumer should inspect the vehicle themselves and take photos. When the vehicle is returned, it should be inspected again for any damage, and a copy of the form supplied to the consumer. If no rep is available or if the vehicle is returned outside of working hours, consumers should take photos as evidence that it was returned in good condition. Failure to do this could result in supplementary charges for alleged damage to the vehicle, which may prove very difficult for a consumer to challenge. 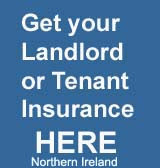 At the insurance4carrrental excess waiver insurance site and Car Hire Excess Insurance Blog site we have been stating this information for years now. Naturally people do not always remember such check lists and of course there are numerous people out there who have never hired a car before. Do take a lot of care and also remember the cheapest car hire company could end up costing you a lot more than you bargained for.